Usually, it takes a driver years of experience to conquer Indianapolis Motor Speedway. Struggles and heartbreaking near-misses typically culminate a lengthy journey to the sport's pinnacle. 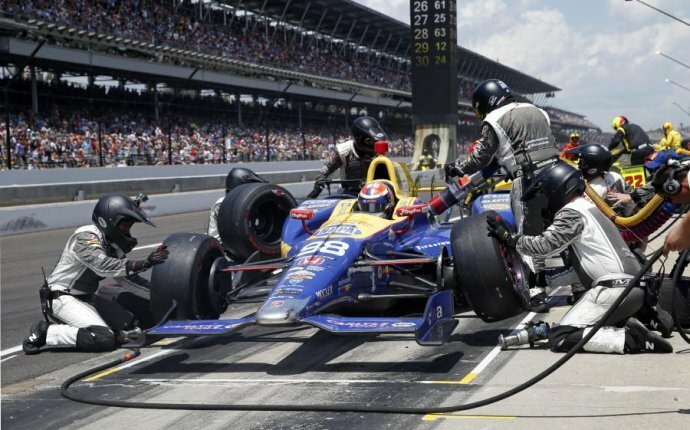 The 24-year-old took home the 100th running of the Indianapolis 500 on Sunday, conserving fuel just well enough to stay on the track and top a loaded field of drivers. In his first race at the hallowed speedway, Rossi wasn't forced to pit on the last round of stops and won the race going away. He held a 4.5-second lead over second place Carlos Munoz and a 4.9-second advantage over third place Josef Newgarden. No other drivers were within 10 seconds of the lead. Tony Kanaan and Charlie Kimball rounded out the top five. Most of the top cars wound up running a few laps short on fuel. Kanaan and Newgarden were battling for the lead before needing to stop, and Munoz took a brief lead with 10 laps remaining. Smart pitting strategy wound up making Rossi look like a genius, and he glided to a chance to kiss the bricks. "I have no idea how we pulled that off. I can’t believe we’ve done this, " Rossi said, per Matt Glenesk of the Indianapolis Star.